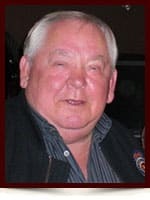 Emil Brenner - Edmonton's Burial & Cremation Professionals | Trinity Funeral Home Ltd.
On August 24, 2015 Emil Brenner passed away suddenly at the age of 76. He leaves to mourn his loving wife, Renate of 47 years, son Marc and daughter Andrea (Kevin) Capowski, grandchildren, Lukas, Sophia, Charlotte, and Cole, as well as many extended family and friends in both Germany and Canada. Emil was predeceased by his parents Jakob and Salamina Brenner, two brothers, Alfred and Erwin, two sisters in infancy and grandson Noah. In 1973, he established Re‐Em Transportation Services Ltd. and spent his life working passionately in the trucking industry. When his son Marc became of age he started molding him to be his helper and teach him the tricks of the trade. He worked very hard and always provided for his family with a generous heart. Monday August 31, 2015 at 11:00AM.